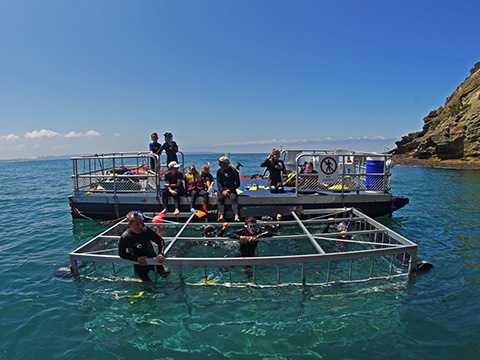 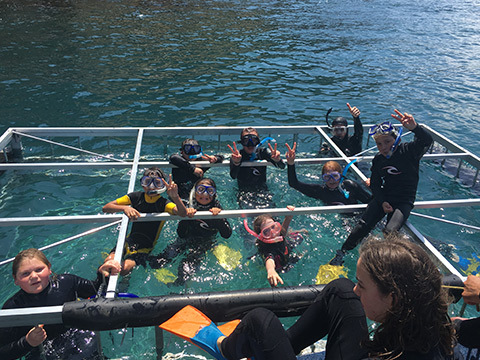 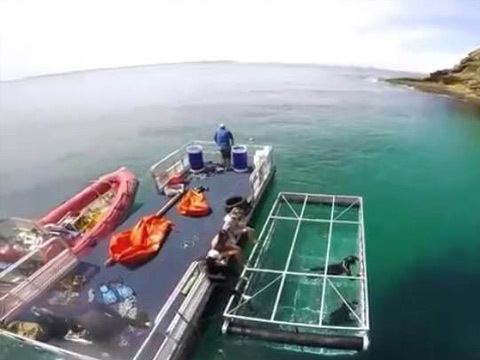 This new attraction offers lovers of fun and adventure the unique experience to snorkel with Australian and Long Nosed Fur Seals in the safety of a large secure cage. 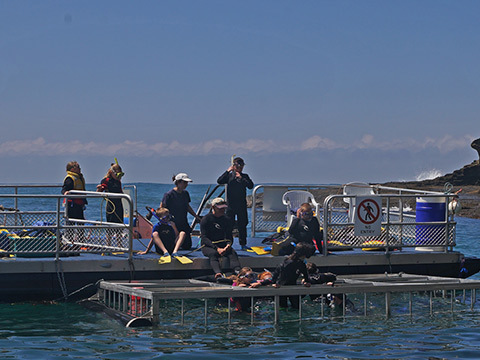 This cage is a unique way to experience the inquisitive creatures up close and personal. 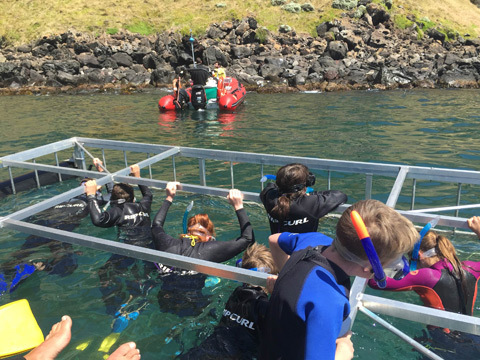 This new experience offers an opportunity for seal snorkelers to board the large pontoon and slide into the safe, secure seal cage for a literal, face-to-face encounter with the seals, providing them the chance to look them right in those big, beautiful, inquisitive eyes. 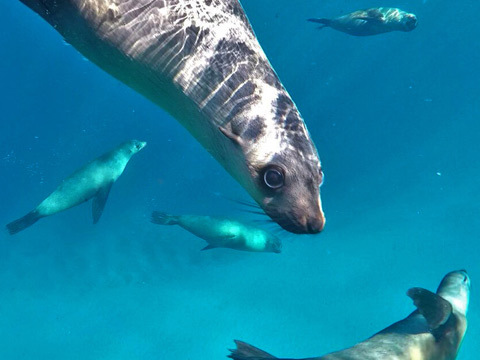 The ‘Swim with the Seals’ experience creates a more adventurous, engaging experience. 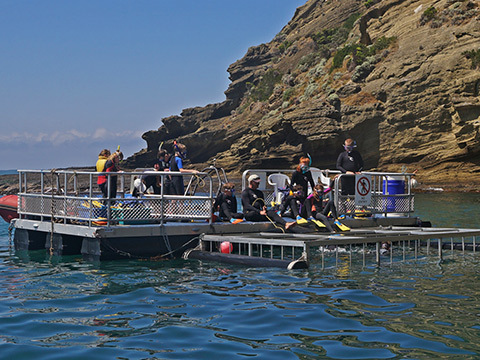 This unique, exciting experience has attracted great publicity and interest from visitors all over the world. 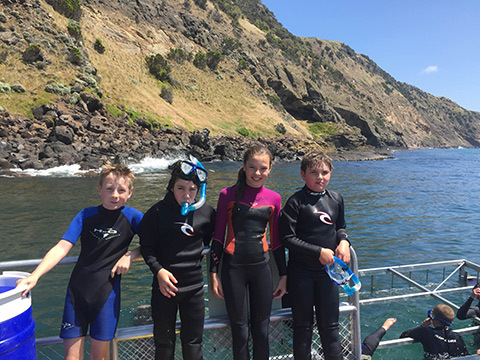 It is an experience for people over the age of 6 years old, offering everyone from children to the elderly a once-in-a-lifetime chance to interact with a colony of seals from within their natural habitat, amongst the rocky cliffs of Cape Bridgewater. 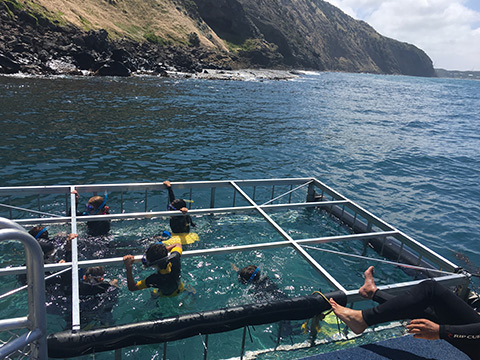 This new attraction now takes off from Cape Bridgewater Beach, through the surf and out to the floating viewing platform- where you embark then jump into the 10 person floating dive cage. 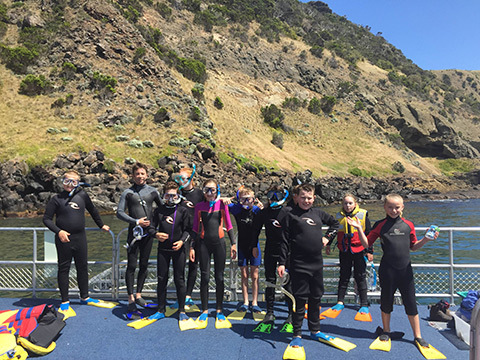 All snorkelling equipment and wetsuits are provided. 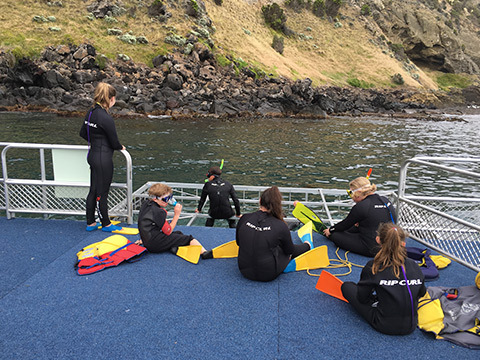 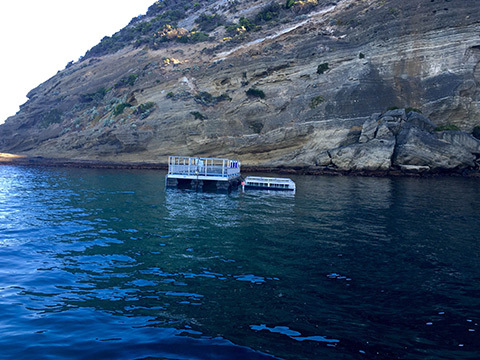 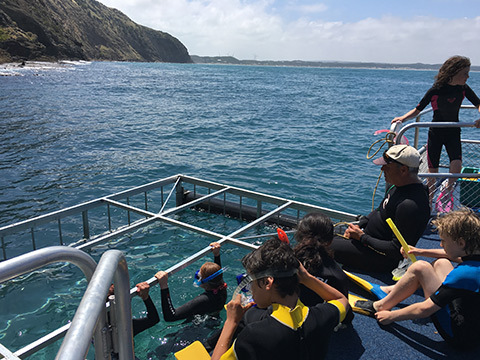 Seals By Sea Tours now offers you an amazing choice of the traditional 45 minute Seal Tour by zodiac and now the NEW snorkel with the Seals in the safety of our dive cage alongside a very spacious pontoon.